Blame it all on Mrs. Angloswiss. 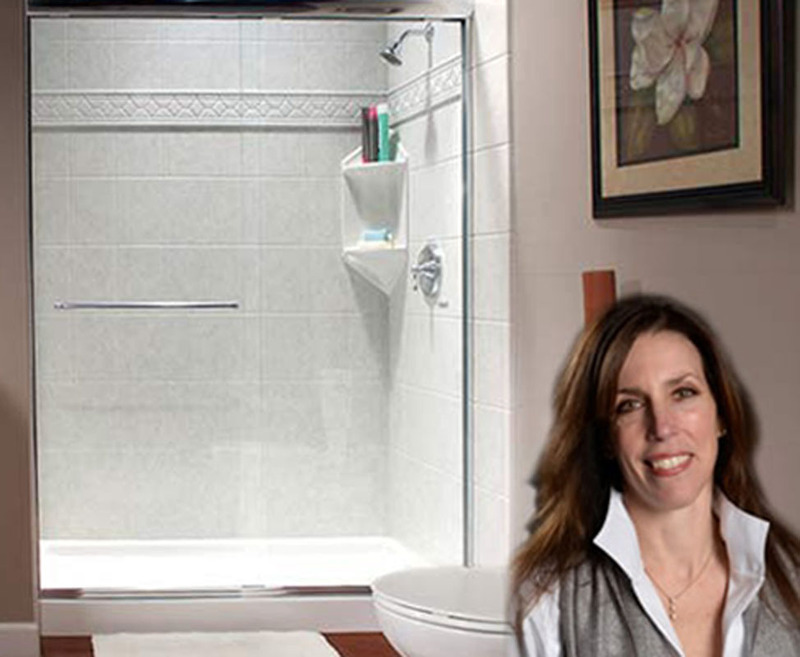 She and Marcel finally gave into reality and ordered an updated bath/shower arrangement. With a seat and hand grips and all the good stuff. And easier to clean, I would vouch. I got really depressed about it because there are many days when I don’t shower because I’m afraid I’ll fall. 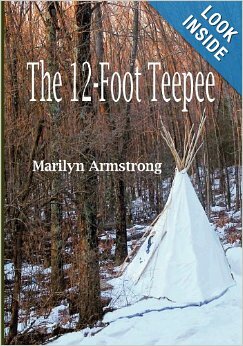 Stepping over the high edge of the bath is more than my balance is ready for — so I skip it. This the color we are getting and this is close to what we are getting, though our room is set up differently. Garry and I have fallen in the shower. Not at the same time, but we’ve both fallen at least once. So far, no one was seriously hurt which is to say that no bones were broken. Although I smashed a finger that took a year to heal, that was a minor thing. All that being said, it’s a matter of time until one of us takes a serious fall and gets badly broken. 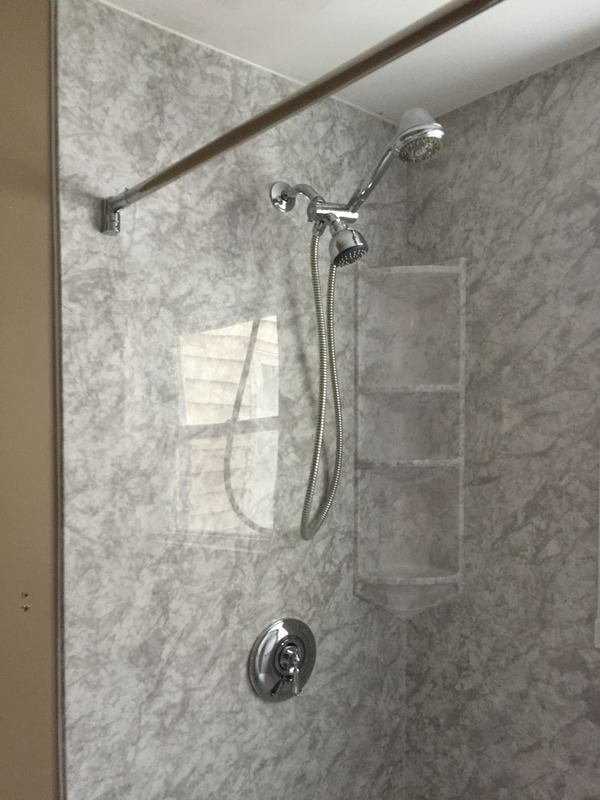 Our shower is not as horrible as it could be, but it’s 50 years old and shows it. We replaced the sink a few months ago. The toilet needs a new valve. The old one is so corroded to the pipe you can’t open or close it. If something overflows, we can’t turn the water off. A bit nerve-wracking. We couldn’t afford a whole bathroom renovation. It’s just much too much money to even think about … but … sometimes, you get lucky. Garry had a long career on television. We always hope someone will think his recommendation will be good for the product because Garry wouldn’t do it unless he was really impressed. He has this reputation for honesty. The magic worked! I am happy because this is a good company. The owner is a woman, a designer, fully credentialed. She lives locally and has more than 8,000 local installations for our reference. All the workers are her own employers — no sub-contracting. I like these products very much. I like where they are made (the U.S.A.), how they are installed, and how easy they are to care for. Even with a significant discount, we can’t do the whole bathroom. The price for that’s kind of huge. But we are doing it, piece by piece. If only we could afford bigger pieces. We installed a new sink in April and a new shower-head a couple of months ago. The toilet is in good shape except for needing a new valve. The floor is … well … the old floor. It is exactly like the kitchen floor. More to the point, it is the same floor, but not as worn out. And grubbier because while I can rev myself up to scrub the kitchen floor, by the time I’m done with that, I’m just plain done. The really important part and the piece which involves our health and safety is the bathtub and shower, so that’s what we will do. It’s not a freebie, but we got a really good deal … AND Garry gets to be a star. The cameras will roll and he will tell them how fantastic our bathroom is and I’m sure it will be fantastic. He will smile and we will have a safe, clean walk-in shower. 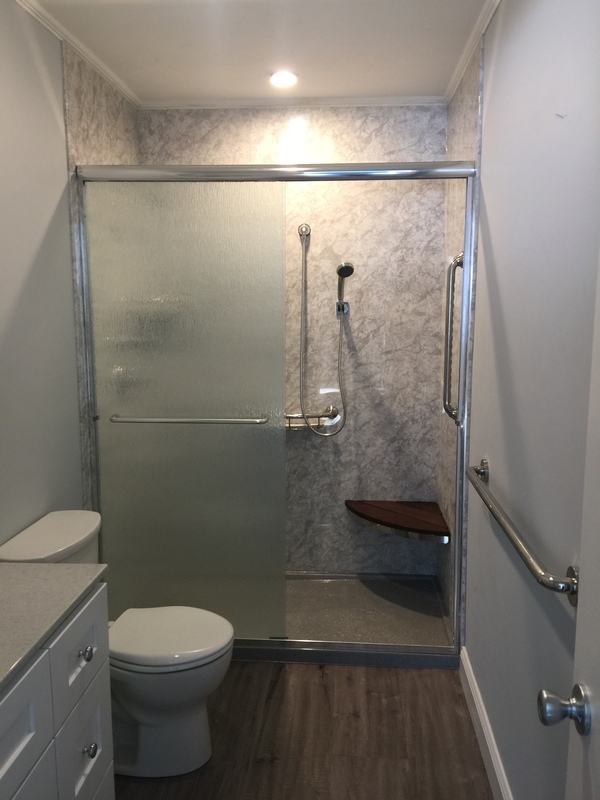 With grab bars, places to hold the shampoo and body wash, wash clothes and other stuff. Good-bye old scrubbed-out tub and porous grouted tiles. 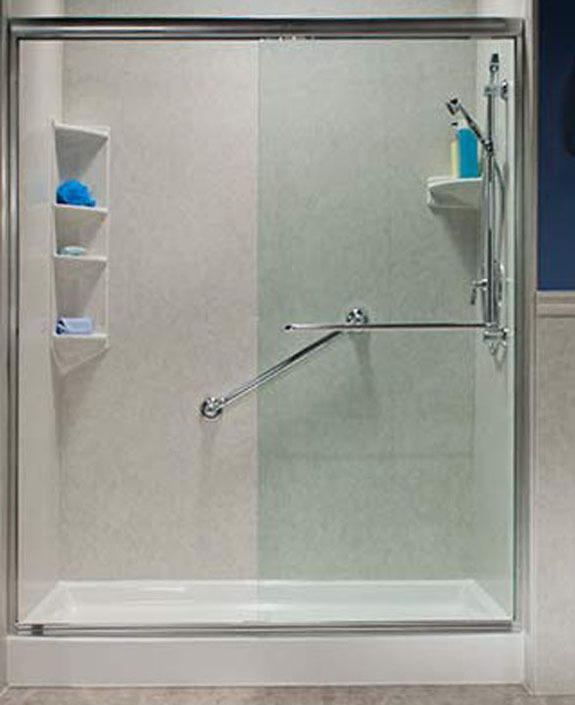 A non-porous shower with smooth walls, built-in mold resistance. All we’ll need to do will be a quick wash and a rinse. Just the idea of such ease of cleaning is overwhelming. 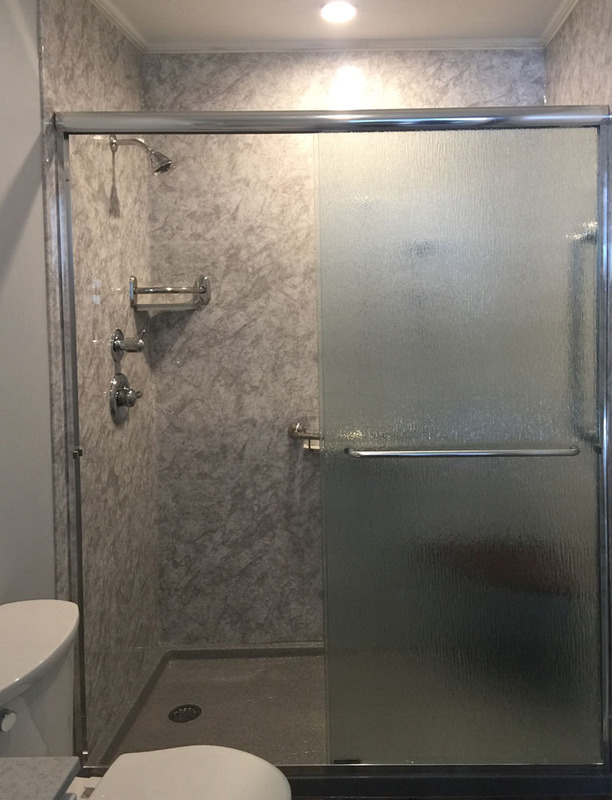 We’ve been working harder and harder at getting the grout in the shower clean, but it’s old and porous and over the years, the mold has been taking over the corners and our backs are not up to crouching in the corners and scrubbing. And apparently, no matter how much we scrub, it won’t ever be really clean again. Porosity from years water. Close. No cookie, but close. It’ll be a month before they do the work which should be accomplished in just a single day. It will be right before my birthday so this will be my MOST expensive birthday present but to be fair, Garry owns the room and only lets me in when he is good and ready. You folks out there can dream your dreams. Exotic vacations and the wonder of faraway places. But a bathroom that’s clean and safe?